Find out why having a White Ink Management System can help you and why you need it. First of all DTG White ink works different than the colored inks, that’s why it clog easily than the others colors and you must shake the ink reservoir every single day. 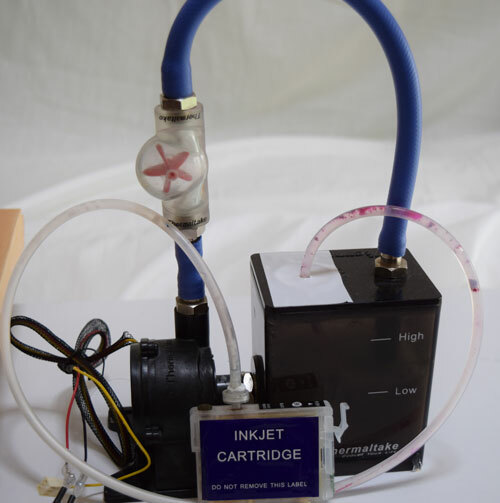 If you do not shake it the ink will sink to the bottom of the reservoir and you’ll start printing white water only. Think of it like oil and water once you shake you mix the water and oil for a period of time then later it unmix again. That’s where WIMS (White Ink Management System) comes to help. WIMS is a simple system that makes the white ink circulate through a system every short period of time to prevent it from becoming watery. It can be done in many ways automated or manual, today we have a lot of technologies that makes this easy to accomplish, it can be done using a simple Arduino board and few other components to build your own system at home. Automatic of course is the best way to go, using an Arduino board you can program it to cycle the ink at custom time of your choice and stop it any time you wish. It can also save you time and not worry about shaking the ink bottle since it’s automatic it does all by it self. You still need to print everyday, the WIMS only makes the white ink circulate through a system to prevent it from becoming watery, but the ink inside the print head cannot circulate, so the only way to make it circulate is to print a small job every single day.